Dr. Benjamin Gilad, president of Fuld-Gilad-Herring Academy of Competitive Intelligence (CI), is considered a leading developer of competitive intelligence theory and practice in the U.S. and is the coauthor of The New Employee Manual (Entrepreneur Press®, 2019). He is also a former Associate Professor of Strategy at Rutgers University’s School of Management. Gilad’s first CI books, The Business Intelligence System and Business Blindspots, paved the way for the CI evolution in US corporations, many of which emulated the basic principles of Gilad’s CI process model. He is the co-editor of the definitive analysis book, The Art and Science of Business Intelligence Analysis, author of Early Warning, and Business War Games. Welcome to Corporate Life! We're here to tell you the truth about it. Freemium thinking is the act of repeating past strategy without putting a lot of thought into how the future will be different. Here's why that's no longer good enough and what you can do instead. Do you have any OOPs on your staff? You do if any of your employees are overconfident, oblivious people. Find out how to find them and what to do next. Knowing your value will help you weather periods of upheaval. Your voice is vital, so don't wait 10 years before you speak up. Welcome to Corporate Life! We’re here to tell you the truth about it. This is the new manual for corporate survival. 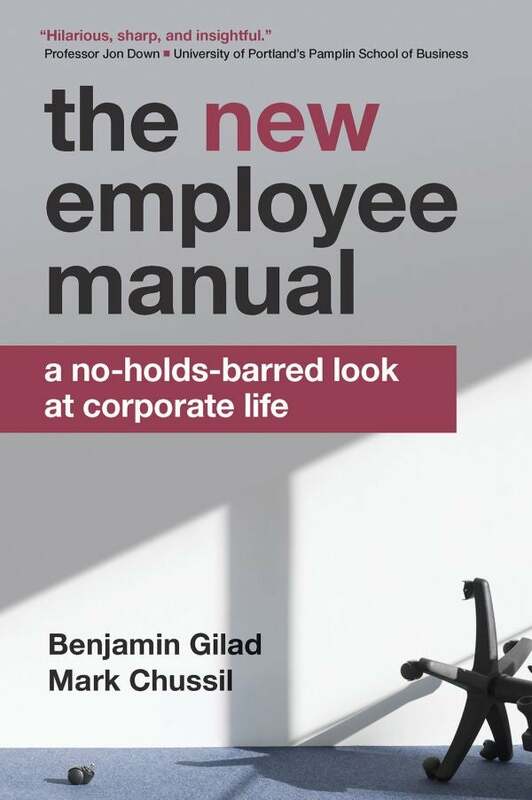 Where corporate’s manual shapes you into a dutiful cog, The New Employee Manual helps you enhance your career for the good of you... and your company. But be forewarned: This isn’t a book for corporate sheeple. It’s a book for the maverick. Forget about knowing where the break room is and whether you get summer Fridays off . This book is your go-to guide for a stellar career. It teaches you the skill of competing and what it takes to conquer the real corporate world.